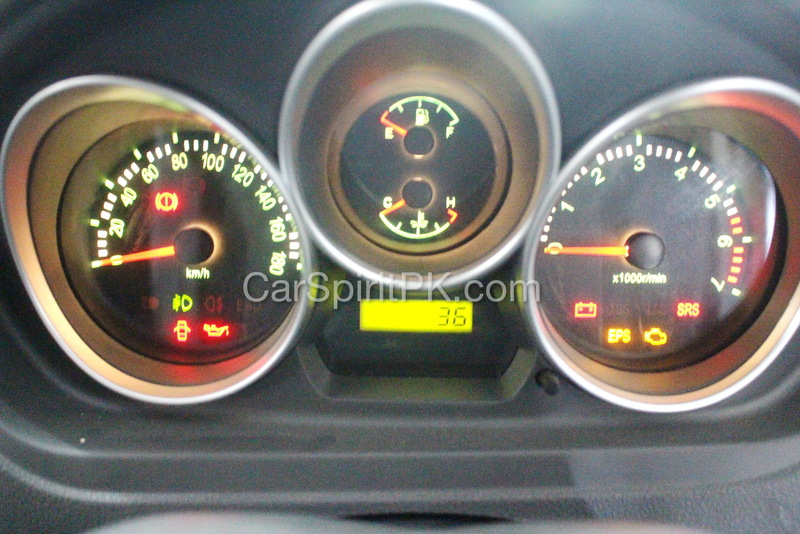 When something goes wrong with your car or if a feature you should know about gets activated, a signal illuminates into the dashboard which are often referred as ‘warning lights’. This illumination may represent a wide range of issues, some of which may be serious. 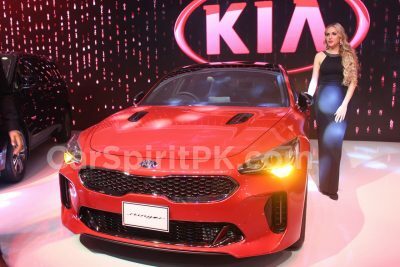 Normally when you turn the ignition key to “ON” position, you should see all the warning lights lit up, this is to let you know if the signal/ bulb is working properly or not. Once you start the engine, these warning lights go off and only those related to any malfunction, or a device that is engaged, such as handbrake, remains lit up. 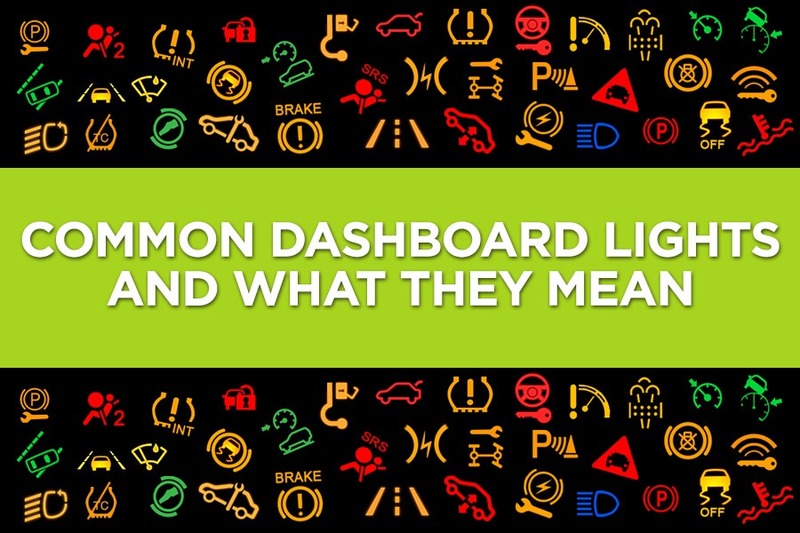 Here are the meanings behind 10 of these common warning lights, one should know about. Warning symbols are normally in red. 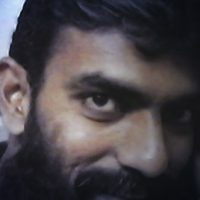 They generally indicate a potential problem or safety issue that should be checked immediately. This indicates that the engine temperature has exceeded normal limits. 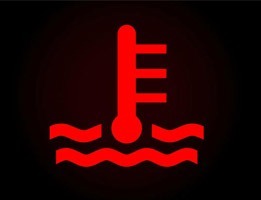 If this warning light appears, you should immediately check for coolant level, fan operation, radiator cap & coolant leaks etc. 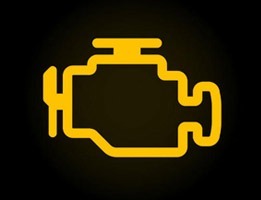 You should immediately pull over to stop your car as ignoring this light can seriously damage to your engine. 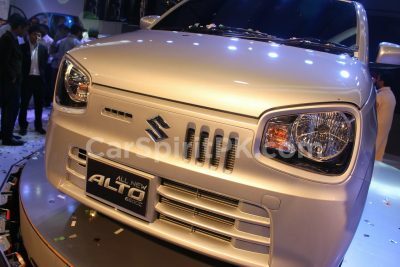 The symbol also appears in blue which means the coolant temperature is below what is needed for optimum performance. It normally pops up when you start up your car in the morning and the symbol should disappear once the vehicle warms up. 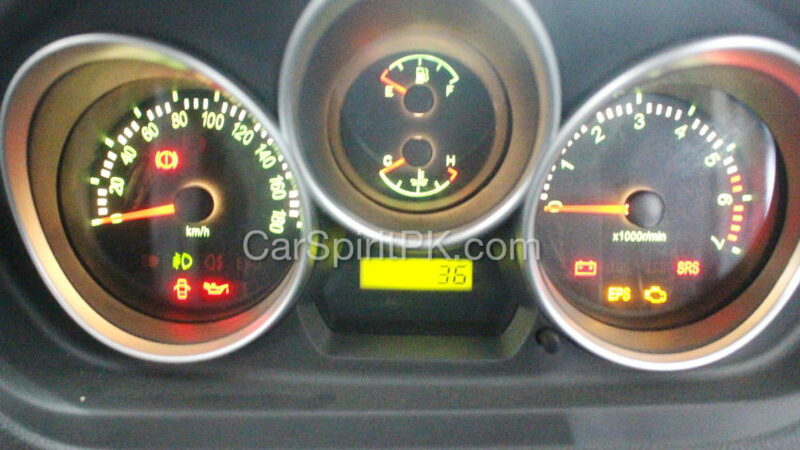 If this light stays lit, it indicates loss of oil pressure. You should immediately check oil level and pressure. 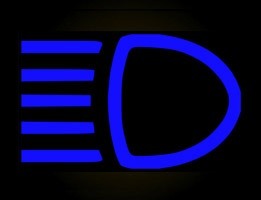 Driving your car with this light constantly illuminated is risky. 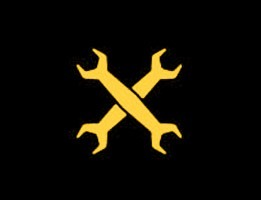 This means that there is a problem with your car’s electrical system. 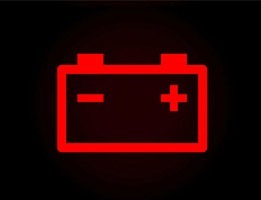 This could be a faulty alternator, faulty battery, a bad connection or damaged cabling somewhere in the engine bay. If your car isn’t charging its battery when moving (the job of the alternator), then you could eventually run out of electrical power and grind to a halt. At worst, the light could be on due to an alternator drive belt braking. 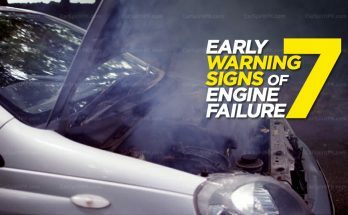 Other systems also use this belt – such as the engine coolant pump, or power steering – so the affects of a failure here could be compounded. It’s likely that you left your handbrake on. But if the light is still lit when you are driving, it could mean your car is low on brake fluid or something more severe. Related: Do Airbags Guarantee Your Safety? If the red brake light blinks, or comes on and off intermittently, and there is no change in the feel of the brake pedal, then have the vehicle properly diagnosed by a qualified repair shop as soon as possible. 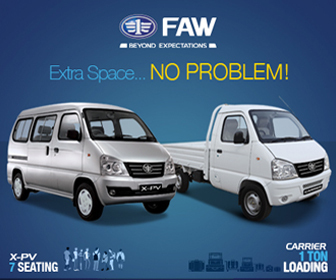 But if the light is permanently lit, the vehicle should be pulled to the side of the road and towed to a workshop. 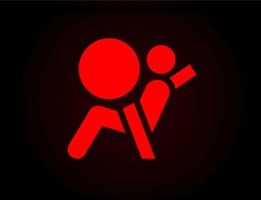 If this light comes on, it means there’s something faulty with the airbags. Take your vehicle to a qualified service centre or dealership immediately to have the problem diagnosed. 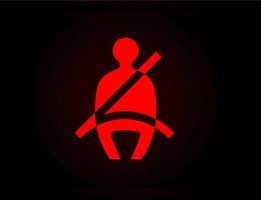 This simply means you are not wearing your seatbelt. The use of seatbelt is one of the most effective ways to save lives and reduce injuries in crashes, yet millions do not buckle up on every trip. So buckle up and put on your belt, buddy. These symbols are usually displayed in amber color but might appear in different colors in different cars. Depending on the severity, they should not be ignored. 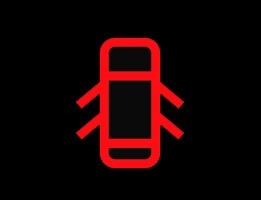 This symbol is present in cars with an Engine Control Unit (ECU). This means that the ECU has detected Diagnostic Trouble Codes (DTC) which usually requires diagnosis with a professional scan tool. These trouble codes can be something as small as a faulty electrical sensor, although sometimes it can be a larger mechanical issue as well. It means that your car is losing its grip. 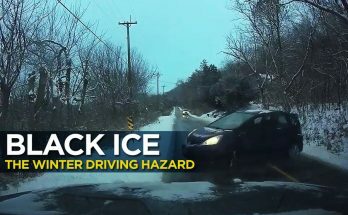 You should slow down and allow your vehicle to regain traction. 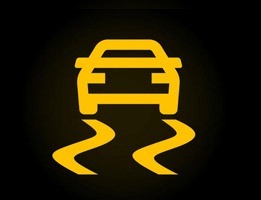 The light should go out but if it stays on, there could be an underlying problem with the traction control system. 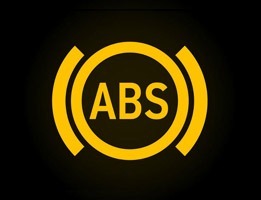 This means there is something wrong with your car’s Anti-lock Braking System (ABS). 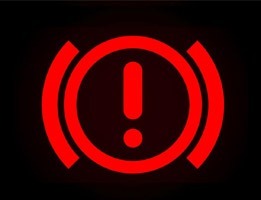 If the warning light comes on while you are driving, it means the ABS is not working properly. Your brakes will still work, but the ABS might not engage if you need to make an emergency stop. If the light remains on, you need to have a technician diagnose the ABS light issue as soon as possible. 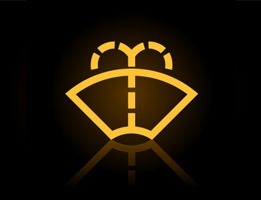 These symbols appear in different colors and are mostly related to your vehicle’s lighting system and routine needs. The light is active only when the high beams are active and has been a standard in vehicles for decades. It means you are low on windshield washer fluid. Spare some time to top it off. 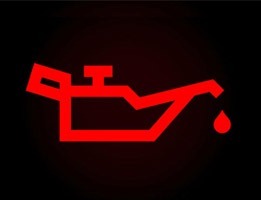 In most modern cars if you get this symbol blinking/ lit, then it means you are running low on fuel. 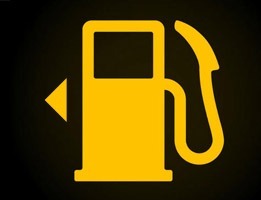 The fuel icons also inform drivers which side to refuel on, the symbol include a small arrow or triangle next to the fuel icon that indicates which side of the vehicle bears the fuel filler door. This symbol can slightly vary depending on your vehicle. 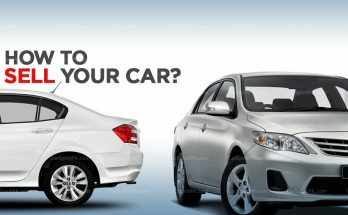 It simply means that it’s time for you to take your vehicle to service. This indicates that doors in your car are open. This symbol is also helpful to let you know which door(s) aren’t properly closed, so do check before beginning your journey. Most modern vehicles, specially the imported JDMs in our market are equipped with TPMS (Tire Pressure Monitoring System). 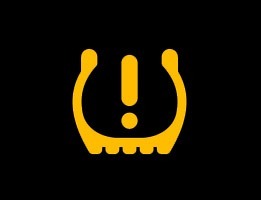 If this light illuminates, it means according to your tire pressure monitor system, at least one of your tires is running low on pressure. This is the sort of data I’ve long been attempting to discover. Much obliged to you for composing this data.